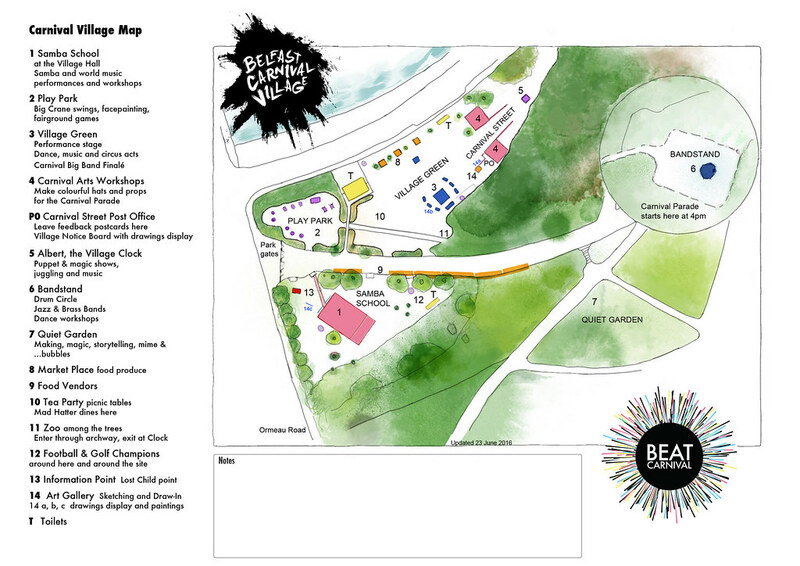 On Saturday 25th June, colourful Carnival will transform the south end of Ormeau Park (Ormeau Road gates) into a theatrical set where performing puppets, mad hatters, crazy golfers, orchestrated musicians will play, dance, draw and dine around the Village's Carnival Street, Village Green, Bandstand and Samba School. Local landmarks such as the H&W Cranes and Albert Clock will be part of the fun & games – come along and you’ll see how! Take part in carnival arts sessions and join in the Village Parade. 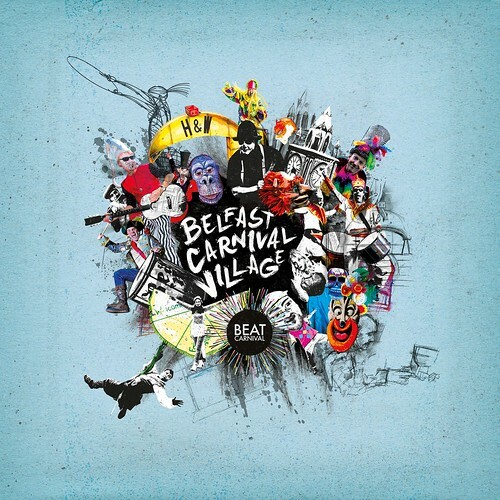 Belfast Carnival Village is a Beat Carnival project to create a Carnival Arts event in Belfast with a different type of audience experience. Usually carnival audiences watch a street parade as it passes-by. In Belfast Carnival Village you can have a whole range of experiences, including participation in event activities, over a full afternoon. Belfast Carnival Village is a Creative Belfast project funded by Belfast City Council and Arts Council of Northern Ireland through the Creative and Cultural Belfast Fund.